Merkinch Welfare Hall is back in business. An iconic building that lay derelict for more than 20 years in one of the most poverty-stricken parts of the Highlands is fighting fit again after a £1.2million makeover. Boxing and job-hunting will be the future focuses of Merkinch’s C-listed Welfare Hall in Grant Street. It has been transformed into a gym and fitness room with community support centre including a work club in offices above, both ultimately aimed at helping needy people off the streets and into employment. The radical refurbishment project was realised courtesy of public and heritage lottery funding and hard graft by local campaigners. 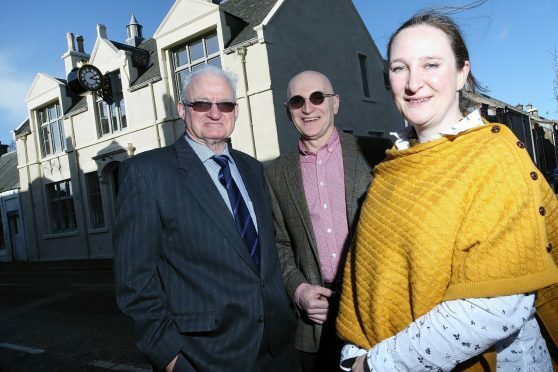 The 1914-built venue – the region’s only listed temperance hall – has been at the heart of the Inverness community can be improved. for more than a century and was officially reopened yesterday. Inverness City Boxing Club will have its gym on the ground floor and the Merkinch Partnership charity has offices on the floor above. Project manager Mia Scott, who was involved in the restoration for more than a decade, said: “There’s a really nice synergy with the original purpose of the building because the initial idea was to get young men off the streets, away from the demon drink and into wholesome activities. The facility aims to attract young fighters – male and female. Peter Corbett, an employment support officer with the partnership, said: “The hall’s very special for Merkinch. It hosted dances back in the ’50s and ’60s, and Clach Football Club used it a lot for things like fundraising dances. The hall’s 1930s drum clock was restored to its rightful place at the front of the building last month.